Hall worked for Koch Industries from 1998 to 2004, according to the Center for Responsive Politics. He was previously a lobbyist for INVISTA, the Koch Industries subsidiary that Democrats are targeting in their latest campaign to “other” the Koch brothers. Hall currently lobbies for General Electric, the chief sponsor of explanatory journalism website Vox.com. Coincidence? Maybe. 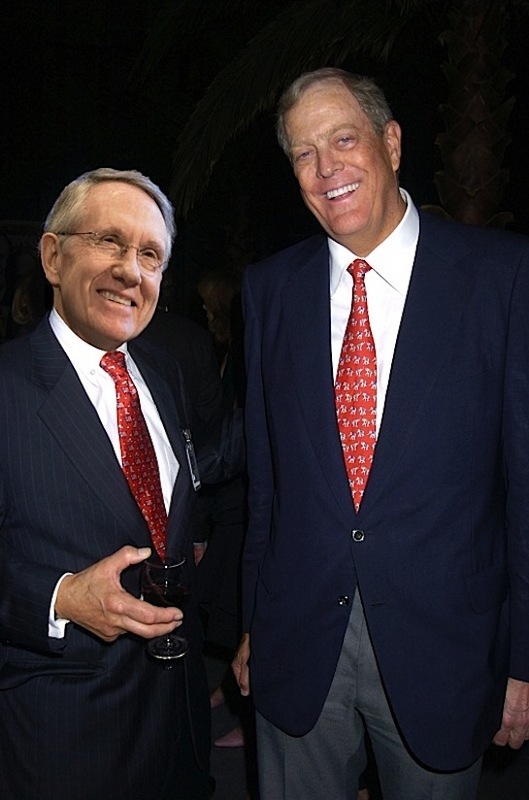 In public, Reid has attacked the Kochs as “un-American” and “against everything that’s good for America.” This is not surprising, however, given the fact that Reid is a raging hypocrite.